Paralyzed from the chest down, Mexican athlete Arly Velasquez feels unrestrained as he trains for the 2018 Winter Paralympics in Pyeongchang. 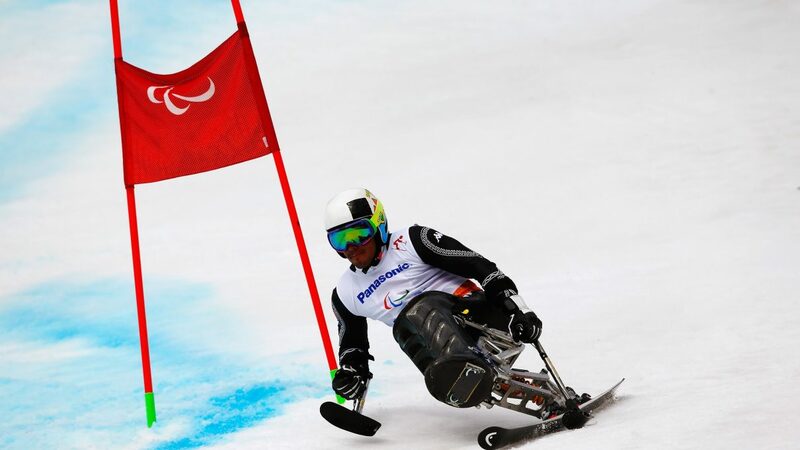 Mexican Paralympian Arly Velasquez did not set out to be an alpine mono-skier. For most of his life, in reality, he had rarely seen snow, let alone skied. No one else in Mexico appeared to be a professional monoskier. And for that matter, no other Paralympian was competing at the winter games for Mexico at all. 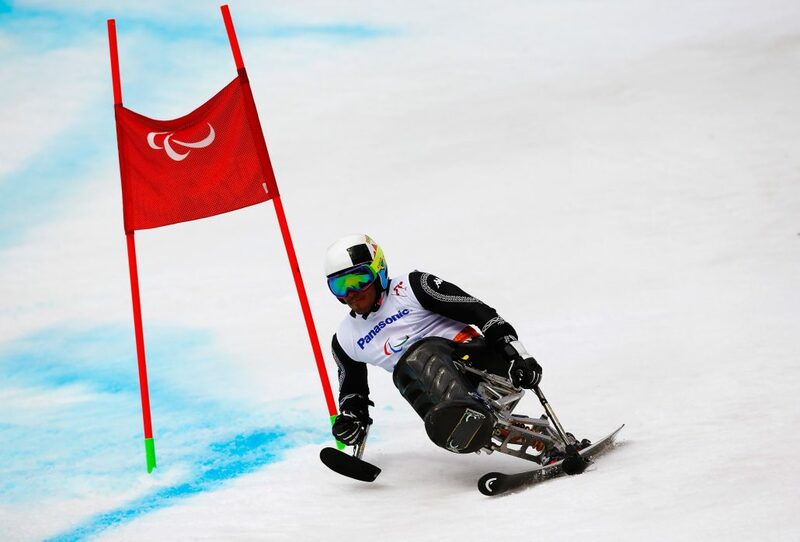 But against that backdrop, Velasquez is now set to represent Mexico in the upcoming 2018 Winter Paralympics in Pyeongchang. He has also learned how to wear cold-weather gear, fashion skis for himself, and live far away from his beloved snow-free country. “Obviously I dream of getting the first winter medal for Mexico,” he says. To that end, he has undertaken a training regimen that includes breathing exercises, push-ups, hours on the slopes, and gym exercises that help with balance, coordination and strength for his Giant Slalom, Super-G, Downhill and Slalom races. His connection to the mountains, he says, runs deep. 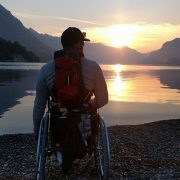 Velasquez, who became a national downhill mountain biking champion when he was 12, injured his spinal chord in a biking accident a year later, paralyzing him from the chest down. He fell into a depression before realizing he wanted to return to sports. He eventually set out in a van from Mexico to Park City, Utah, where he credits a volunteer and anonymous instructor for telling him he had the attitude and skill to compete as a monoskier. “I think they saw there that hunger, that drive and I was quite encouraged by that. They gave me a lot of confidence,” he says. He trained in Oregon, New Zealand, and Colorado for slightly over a year and ultimately qualified to compete in Vancouver, where he saw that mono-alpine skiing could be a lifestyle. “It was a moment where I saw more people who were exactly on the same path as me,” he says. He placed toward the bottom of contenders, but later finished in 11th place at his second games in Sochi in 2014— the best showing among all Latin American winter Olympians and Paralympians, despite a serious accident he had on the slopes. That alone was a great feat. Unlike other athletes from more developed countries who completely dedicate themselves to training, Velasquez has largely worked as his own methodologist, team manager, physiotherapist, nutritionist, technician, and publicist. “It is not the same as belonging to the team in Austria where you just take care of training,” he says. “As much as I wanted to do it here, really, I had to do it outside of Mexico, away from my family, away from everything I always knew,” he says, noting the lack of resources dedicated to the Paralympics and professional sports in general. Recent earthquakes in Mexico were another poignant reminder that many things are beyond his control. Velasquez, who was training in Chile when the two large earthquakes struck, recently recalled a two-week period of confusion in September. “From Sept. 19 to 22, we were glued to the computer, there was bad internet so we had to get hotspots, have friends lend us internet to be able to know the news,” he says, referring to the moments after a second 7.1 magnitude earthquake caused large-scale damage in Mexico City and killed hundreds. “After living all this you realize how fragile we are,” he says, adding that he was not in a hurry to leave home and continue training in either the United States or Switzerland. Velasquez, who continues preparing for the upcoming games in March, says he has also acquired a different outlook on skiing in the last few years. “At this point in my life, I use my head more, and I think I don’t risk as much,” he says. “I’ve developed a lot in these ten years and I have accepted the skills that I can apply,” he adds, noting his more mature perspective is an advantage against younger athletes. One also has to keep the faith, Velasquez says.